I have just recently become a sweet potato fan. I was impressed and addicted after trying them in a dish from a local chef. Here is my easy way to prepare a wholesome side for your family. This delightful dish will be perfect for your holiday gatherings!! It is gluten-free and Paleo diet friendly. 1. Place potatoes and onions in a medium-sized pot, cover with water. Add thyme and salt. Boil for 15-20 minutes until potatoes are tender. 2. Remove from stove, pour off water. Place in large bowl. 3. Cover with glaze and stir, serve immediately. Don't miss my Tasty Thursdays linky party each week!! Thank you for letting me be a part of your party. 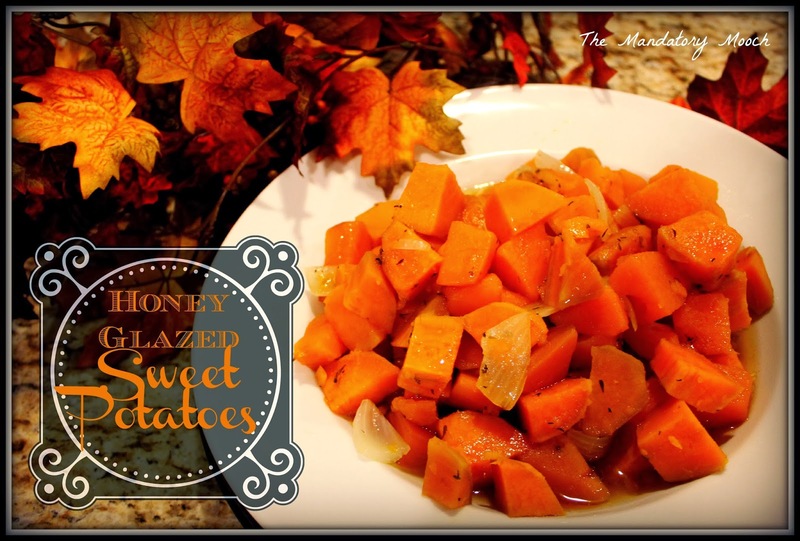 Great ideas and I printed off your honey roasted sweet potatoes. I LOVE sweet potatoes! Thanks for stopping by. Enjoy the recipe!! Thanks for the party Nichi! I do love those sweet potatoes - pinning!